Microsoft wants to promote the use of OneDrive for Business among Office 365 customers, so it’s building links between the work cloud storage service and Outlook Web App (OWA), the suite’s browser-based email interface. 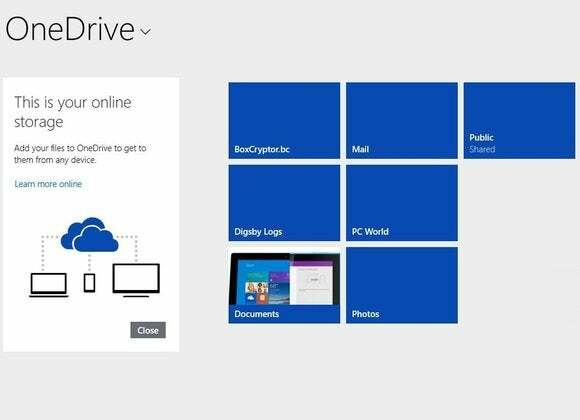 Over the coming weeks, Microsoft will roll out an option in OWA’s interface to attach OneDrive for Business URL links to messages, in addition to the conventional option of attaching files stored in the sender’s hard drive. When email recipients click on the OneDrive for Business link, they’re taken to a file hosted in Microsoft data centers, so that they and their colleagues can co-edit the document using Office Online—the browser-based version of the Office productivity apps suite—and see each other’s changes. In addition, when people choose a file on their hard drive as an attachment, OWA will ask them if they want to instead share it as a OneDrive for Business link, and if they say yes, the file is automatically uploaded to the cloud storage service. The changes were described by Microsoft in a blog post Wednesday. It’s not clear whether Microsoft plans to add options to the OWA interface to attach links to files in third-party cloud storage services, like Dropbox, Box and Google Drive. There is also a potential inconvenience when sharing OneDrive for Business links with email recipients who don’t work in the sender’s organization and thus aren’t part of the sender’s Office 365 domain. In those cases, recipients need to sign in to a Microsoft account—or create one—in order to access the file. The new features are also being rolled out to the OWA apps for iPad, iPhone and Android. They will be added later to the Outlook desktop client app. Microsoft had announced these features earlier this year at its Exchange Conference.